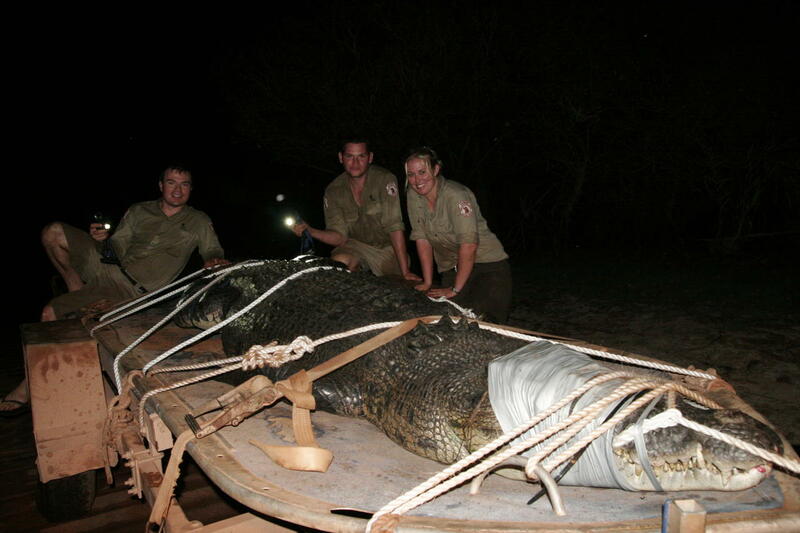 Northern Territory wildlife rangers have caught their biggest crocodile for the year. Measuring more than 4.5 metres, the crocodile had been lurking around the Corroboree Billabong boat ramp, about 140km south-east of Darwin, for a few weeks. Part of the Mary River wetlands, the billabong has the largest concentration of saltwater crocodiles in the world. Rangers were acting on reports of a big crocodile that had been menacing fishermen. An angler reported the crocodile lunging at the side of his boat two weekends ago, and there had been up to a dozen other reports of the crocodile causing problems. The monster crocodile was harpooned and taken to a reptile farm. Ranger Joey Buckerfield says he believes the crocodile display of aggression is probably territorial in nature. "I think because it is such a big size and it seems to be the only croc in that area, it might just feel threatened by boats," he said. i need the authors name and the date of when it was found. give it to me now!!! !